A signature blend of the feminine and fierce, the Christian Louboutin Vendome Spikes pump delivers substantial style with glossy tonal spikes and platform construction. Patent leather pump with glossy tonal spikes. 5" covered heel, 1" hidden platform. 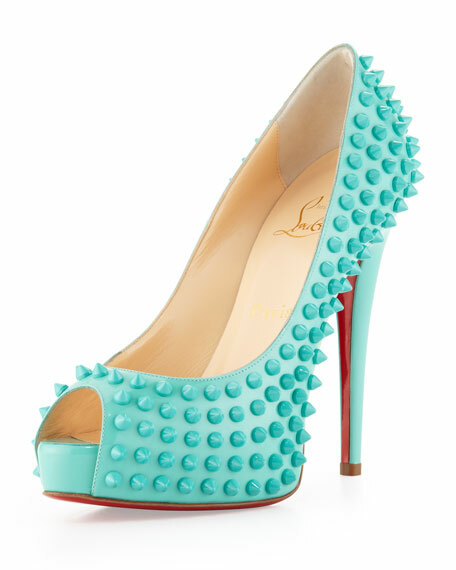 Christian Louboutin signature red leather outsole. "Vendome Spikes" is made in Italy.